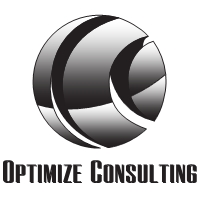 Optimize Consulting is an organizational improvement firm specializing in providing optimized strategy execution in the Federal and Commercial markets worldwide. Optimize's award-winning approach is based on the "Organizational Optimization" framework and has made an impact of over $3B in value to our clients. Organizational Optimization enables your organization to achieve optimal strategy execution by aligning the organization, prioritizing strategic improvements, minimizing risk and maximizing mission effectiveness and operational efficiency. It is a fresh new way to evaluate your organization, assess its current cultural health and strategic performance and set it on a path for optimal growth and prosperity. Organizational Optimization is explained in the book by the same name published in 2014. Optimize Consulting is a certified (SDVOSB) Service-Disabled Veteran-Owned Small Business and a certified SBA 8(a) firm with security clearance. Optimize Consulting has a strong reputation for results at the highest levels to include Pentagon awards for improvements with the Department of Defense.